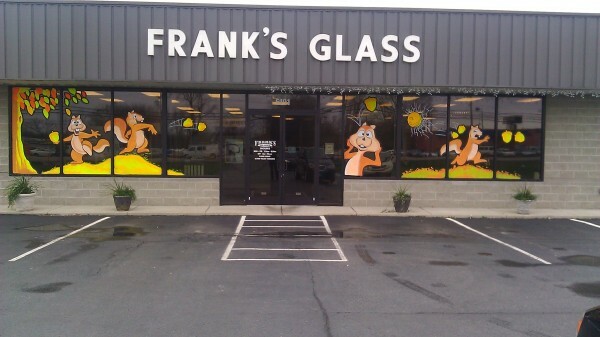 Frank’s Glass specializes in commercial projects in the Cincinnati/Tri-State area. The commercial manager is responsible for all aspects of the commercial department. He/she would manage the commercial installation teams, monitor and manage all incoming commercial projects and estimate future ones. As a project manager, you will be responsible for managing the work day schedule, estimating and controlling the costs and communicating key project information with both internal employees, as well as our customers and suppliers. Our business has been, and is built on reputation and quality customer service and reliability. We are looking for an individual who can forge relationships with our current and future customers to maintain these high standards. Plan and execute projects. You will assume responsibility for new projects from submittal stage through completion, including oversight of shop drawings, other submittals, and project closeout. Build an efficient, high functioning team. Ensure that your team adheres to established schedules, quality standards, and standard operating procedures. Consistently and professionally communicate with client representatives, vendors, subcontractors, and internal customers. Review assigned projects to establish critical path milestones, action plans, and schedules. Confirm the accuracy of and the scope of new work. Project and track assets, including materials, labor, and other resources; initiate corrective actions as needed to meet project deadlines. Communicate with Shop Foreman to project upcoming work and in-house fabrication and job material requirements. Project managers are responsible for keeping shop personnel advised of project schedules and project related material needs. Maintain detailed and organized records of bid documents, correspondence and other project specific information. Work with the accounting department on your projects’ monthly billings. Monitor the field staff and manage hiring and performance concerns. Minimum of 3 - 5 years as a Project Manager in a glazing environment. Product knowledge: Wide range or broad knowledge of curtain wall and storefront products and their applications. Understanding of the glazing industry and products, covering both design and applications. Must be able to read and understand architectural and structural specification drawings. Good communication skills with customers and sales reps, both verbal and in writing with the ability to work under pressure. Must have field installation experience. Proficient in MS applications and computer literate. Ability to handle multiple tasks concurrently to meet deadlines. Must be organized and exhibit a high degree of attention to detail. Self starter with the ability to work with minimal supervision.